It's thrilling. It's fast. It's a real American sports car. The 2016 Dodge Viper is now available at Premier Chrysler Jeep Dodge Ram. This iconic sports coupe has an unforgettable look that will have you thinking about it long after you have parked it; the maximum-efficiency design is designed to be perfectly balanced at high speeds. Come to our New Orleans Chrysler Dodge Jeep Ram dealership and experience the pure thrill and passion of driving in this athletic vehicle. Our showroom is located at 13000 I-10 Service Rd and welcomes shoppers from the nearby cities of Metairie, Kenner, and Slidell. It's not easy being at the top, but the 2016 Dodge Viper has had many years of practice squaring off against the competition. Let's see how it fares in a battle against the Jaguar F-Type R.
Amazing doesn't come easy, and the 2016 Dodge Viper is pretty amazing. This stunning sports car has a starting MSRP of $89,995 for the SRT trim, which actually seems tame when you compare it to the Jaguar F-Type R. That pretty kitty has a starting MSRP of $105,400 right out of the door. 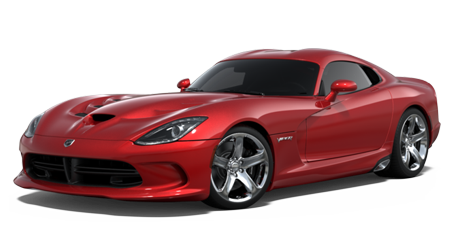 For a comparable price, say starting MSRP of $110,095, the 2016 Viper DTS coupe offers dual-mode street and track suspension, StopTech 2-piece performance brakes, staggered 18" and 19" Venom Polished wheels, three choices of leather interior, Sirius XM radio, Bluetooth, a Harman Kardon 18-speaker sound system, and an 8.4" touchscreen. If performance is what you crave, then the 2016 Dodge Viper will deliver performance ten-fold. Under the aggressively staled carbon-fiber hood lies a handcrafted all-aluminum 8.4-liter V10. The engine is mounted mid-front to offer impeccable balance and control, and the engine produces 645 horsepower and 600 pound-feet of torque that will surely astound and delight. 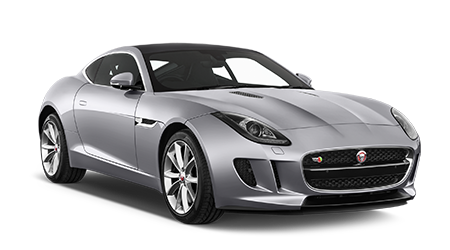 The Jaguar F-Type R features a 5.0-liter supercharged V8 with 550 horsepower. The 2016 Dodge Viper is, pure and simple, more powerful than the Jaguar F-Type R. No bones about it. Step up to a real American icon and discover the 2016 Dodge Viper at Premier Chrysler Jeep Dodge Ram. We have the 2016 Viper and the rest of the amazing lineup from Dodge, Chrysler, Jeep, and Ram near Metairie, Kenner, and Slidell. Come by our New Orleans showroom and take a gander at the amazing and powerful 2016 Dodge Viper. We promise it will be an experience you won't soon forget. You might even have to bring one home for yourself!